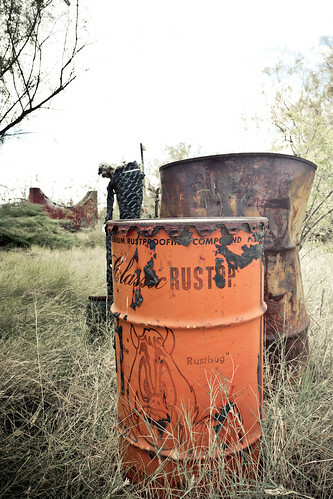 Several months back (July) I went to a weird site at 3670 Doniphan. 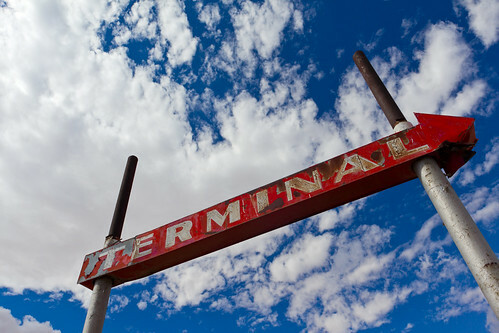 There are a few scattered buildings and a single sign that displays “Terminal” at its top. The few buildings at the back are the only remnants of industrial activity and they don’t match the age of the other foundation bits and pieces scattered around. 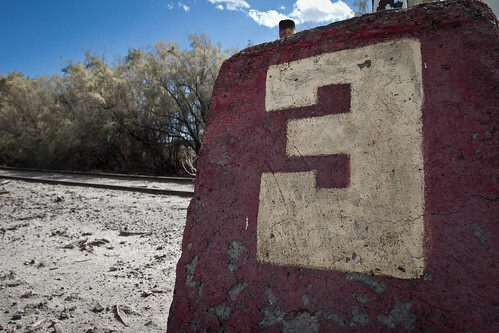 There are these weird blocks that seem to be marking some sort of station locations set next to train tracks that snake through the property. The last time I was here the main “office” building had been locked up with entry accessible only through a hole in the wall. A side storage area was broken in to but not very interesting. 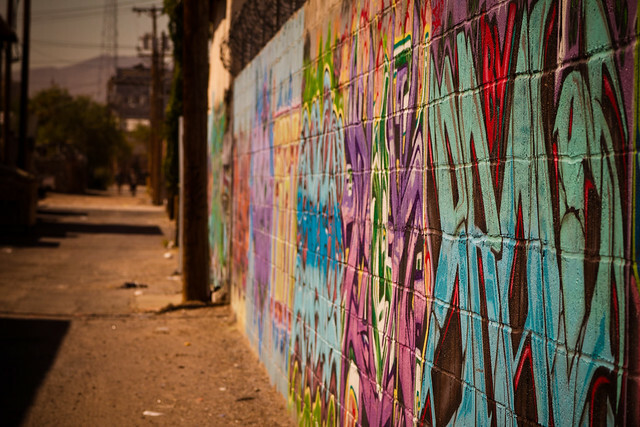 This time around the front door had been pried open and the second story graffiti was new, overlapping the older tagging. 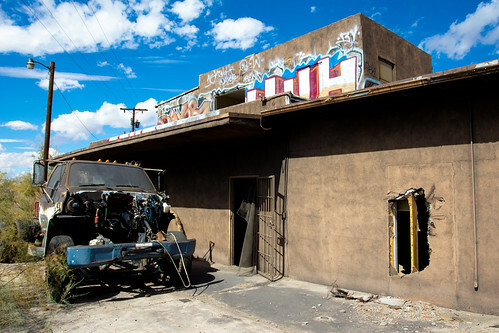 Once inside I noticed something kind of weird, the walls had sections broken out in seemingly random spots. I also noticed some exposed ceiling tiles and cut sections of pipe insulation on the floor and then it hit me… copper scavengers. 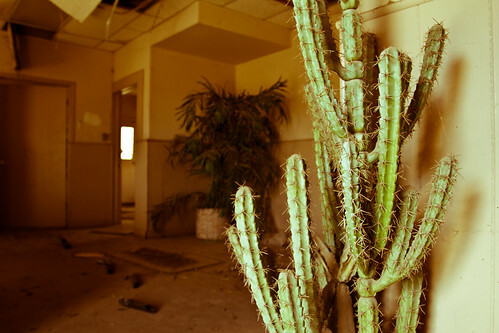 A couple of fake plants and a desk was all that had been left behind. The drawers had been rifled through, though I wager there wasn’t anything to begin with. 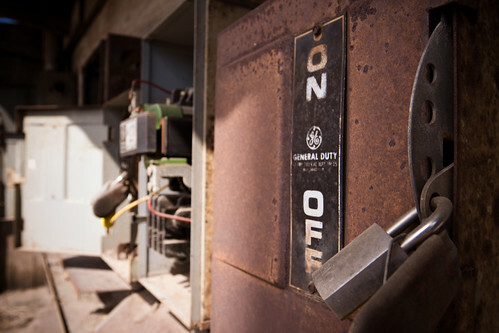 After walking back out I headed over to the electric station were it was obvious that nothing is going to be going on here for a while. 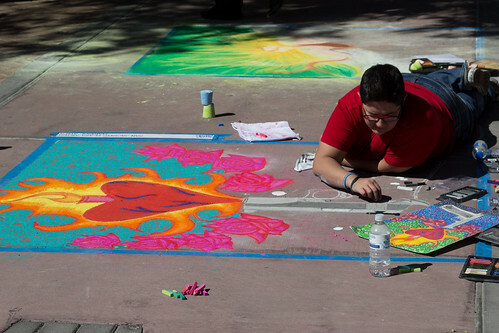 This weekend downtown El Paso held the 4th annual Chalk the Block event. 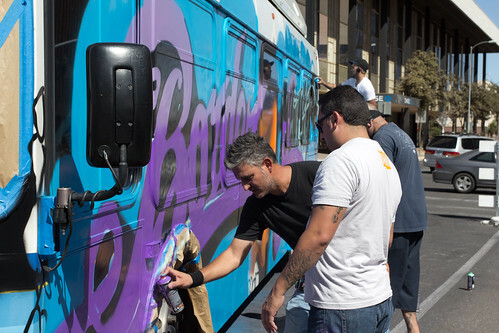 The organizers bring together artists, artist teams and other performers for a free event that turns the sidewalks around the plaza and museum into temporary art installations. 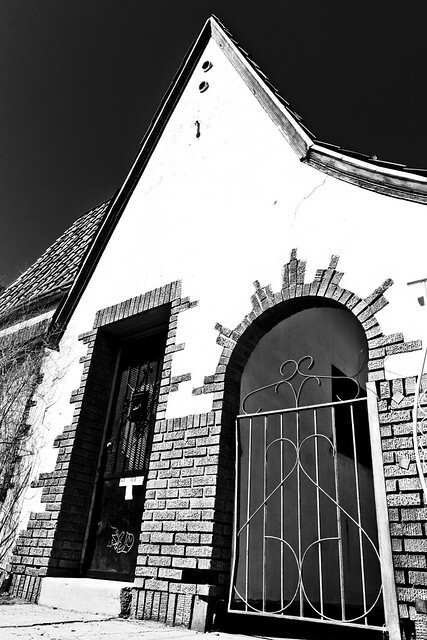 With the recent removal of the fences around San Jacinto Plaza the downtown park makes for a great place for artists to create chalk and pastel works on the concrete. Jack was mesmerized by it but Shaun was a little afraid. The flame visuals created by the burner at the top really can hypnotize you. The heat kicked by the flames keeps you mindful of the danger overhead but the distance keeps you safe. 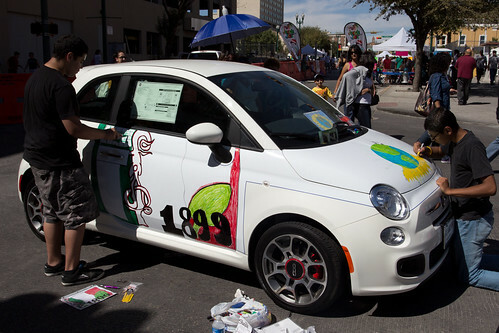 Fiat of El Paso was also using this a showcase event for their just launched 500, with artists creating works around and on the spry little hatch. There was a large selection of food trucks on hand hawking all sorts of nacho-churro-relleno-on-a-stick concoctions. 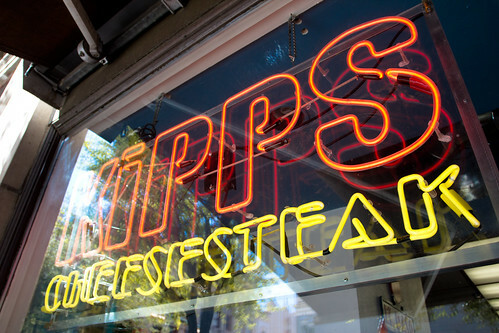 We opted for a stop at Kipps Cheesesteaks for their awesome hot sandwiches. I guess no outdoor event is complete without some sort of protests. 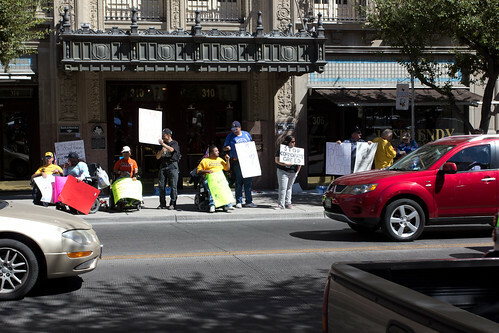 The Occupy Wallstreet protests that are currently sweeping the globe have even spawned a local group who were standing out in front of the Cortez Building. 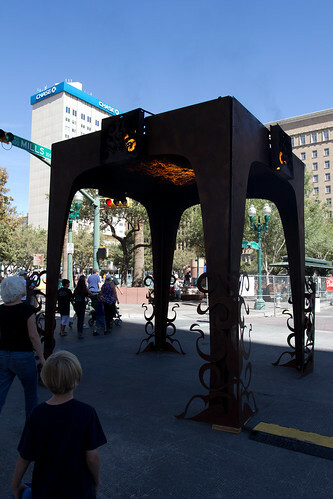 They had wanted the center of the Plaza but were supplanted by the arts this weekend. Go Arts!